Thomas Ludwig is a professor for scientific computing at the Universität Hamburg, Hamburg, Germany. At the same time he is the director of the German Climate Computing Centre (DKRZ) in Hamburg. His research focus as a professor is on high performance storage systems (parallel I/O, parallel file systems) and energy efficiency with high-performance computing. As director of DKRZ he takes the responsibility to provide the climate research community with high computational power, considerable storage space and sophisticated services. Thomas Ludwig received his doctoral degree from Technische Universität München, Germany, in 1992. He received the habilitation degree in 1998 at the same university. From 2001 to 2009 he held a professor position at the Universtät Heidelberg, Germany. 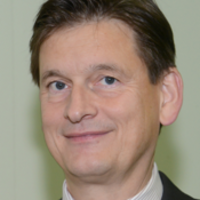 Thomas Ludwig works in HPC since 1987 and has published more than 180 papers. In 2010 he launched the international conference series on Energy-Aware High Performance Computing.